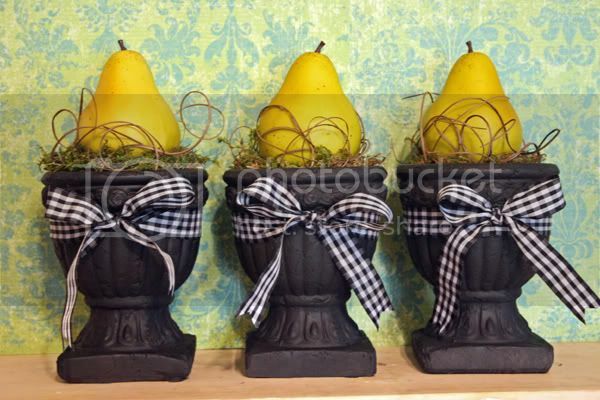 The Rachel Berry Blog: My Pear Urns! Well I finally got them done last night. They are not exactly how I want them but when you only have your local Wal-Mart craft section to work with, this is what you get. So, the next time I get out of this puney little no-where-to-shop-for-cute-crafts town, I am picking up some bigger gingham ribbon, because I just know they are screaming for something a little wider. I also might change out the twiggy stuff but that's another day. I will be changing out the pears for pumpkins come fall as these little babies are ever so versatile! Anyway, 1 project down & many more to go. Soon I will be tackling large furniture pieces with a paint brush & black paint. I'm pretty sure that I have Lloyd scared out of his tighty whiteys & wondering where he went wrong with me. Trust me I will be posting pictures of the new paint project. My thanks go out to Joys of Home for inspiring my total copy of her cute urns. but you gotta admit I am so good at copying cute ideas! It's okay that you copied my pear urns, cuz now I'm going to steal your "I'm a skinny girl trapped in a curvy body" line. Love It! Oh, and you did copy one other thing of mine. I also have a son, older than yours, with the name of Parker. super cute! Don't u just love creative people who allow you to "Borrow" their ideas! Super Super cute! i don't think that they need wider gingham. I like them that way. I think if you put any wider, it would detract from the cuteness. I know what you mean about the black pait. Just wait until you see my post tomorrow. You will want to use that paint even more! Ha!! I have learned that it is always easier to ask forgiveness than permission. DuH! That is why my marraige has survived as long as it has! They are really cute. I love the twigs. 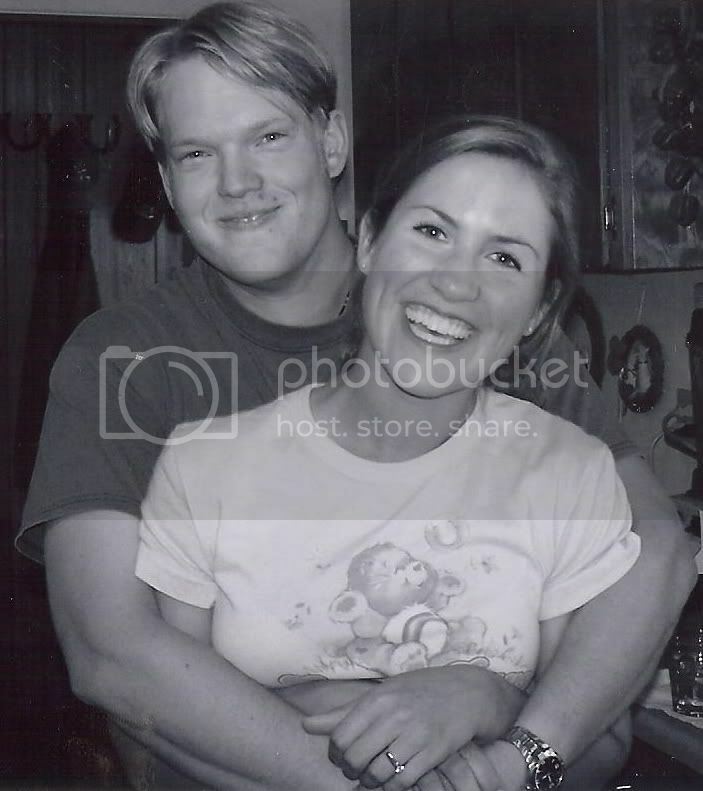 rachel, you've got talent--your blog is really fun to look at! I was wondering what you were going to do once you ate the pears. What a cute idea! These are so cute! How did you do the signature with the bird? These are absolutely adorable! Where did you get the urns? I have to try it! Love the pears!!!! Wish I had some!!! Omg how cute! i want to make those and love the idea of pumpkins for the fall! ou have to share where you got the Urns, Pears & twigs please! These are STUNNING!! I love them!! Very impressive working with just the Wal*Mart craft section. those look so cute! I think they are perfection... too fun!